David Hamilton gained a first class honours degree in chemistry, with a specialisation in biological and medicinal chemistry, and a Ph.D. in organic chemistry before going on to be a scientist in the pharmaceutical industry in 1995. After four years he left and has since worked as a motivational speaker, co-founded an international relief charity, co-organised a 9-day, 24-event festival of peace called Spirit Aid, and worked as a college lecturer in both chemistry and ecology. He has been featured on TV, BBC radio, and has been the subject of national newspaper articles. He spends most of his time writing, giving talks and leading workshops on the topics of his writing. He lives in Windsor. We attract the life we think about. 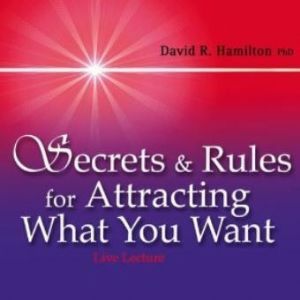 Discover how the law of Attraction works and how to speed up the process of creating the reality you dream of. 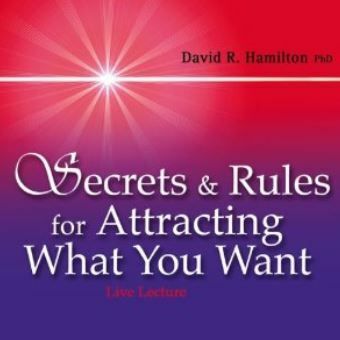 In this live lecture download you'll learn and practice Dr. Hamilton's nine principles for inspired attraction as well as meditations and exercises to strengthen your ability to attract the life you want. Dr David R Hamilton gained a PhD in organic chemistry in 1995 before going on to be a scientist in the pharmaceutical industry. Fascinated by the results of drugs trials in which placebo recipients responded as well as participants who trialed the real drug, he began to research the mind/body connection. This research eventually led him to leave his job and become a motivational speaker. He appears regularly in the media.